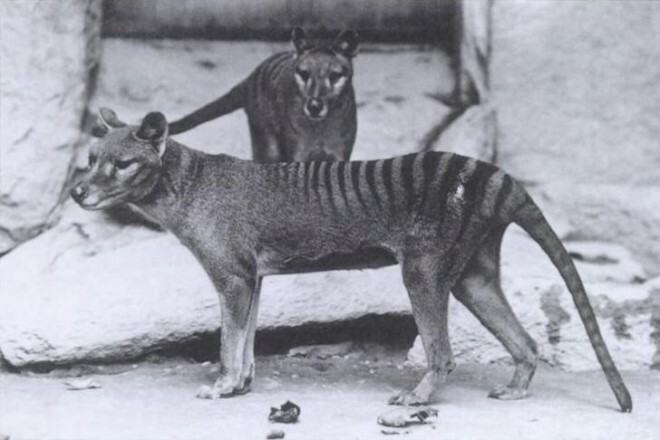 Wired.com has an interesting essay on the Thylacine entitled Not a Wolf but a Tiger. "Thylacinus cynocephalus goes by a few different names – the marsupial wolf, the Tasmanian tiger, or, simply, the thylacine. Whatever you choose to call the species, though, this peculiar, striped marsupial is simultaneously a potent symbol of convergent evolution and the ecological destruction our own species is capable of. 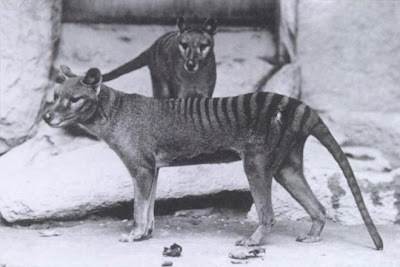 Thousands of years of competition with dingoes and humans contributed to the predator’s extinction on mainland Australia, and intense hunting by Tasmanians intent on protecting their sheep – combined with supplementary pressures like habitat destruction – wiped out the last of the thylacines during the 1930’s. (Some believe that a few of these marsupials might still survive, but these hopes are likely in vain.)" 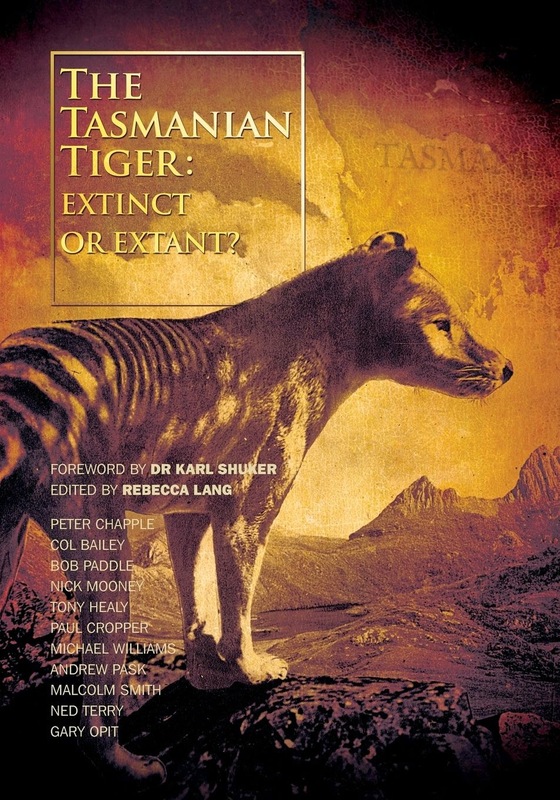 The interesting article goes on to discuss the Thylacine's elbow bones and the likelihood it was in fact an ambush predator rather than a pursuit predator, which gives us all something to think about - in other words it may have had more in common with the felis family than the canid when hunting. Read on here. 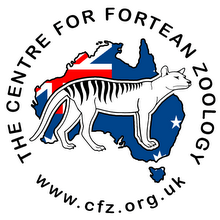 Fans of all things Thyacine might also enjoy CFZ Australia's video celebrating the enigmatic marsupial.